Team Novo Nordisk is racing on Veloflex tubulars and clinchers during the 2019 season. 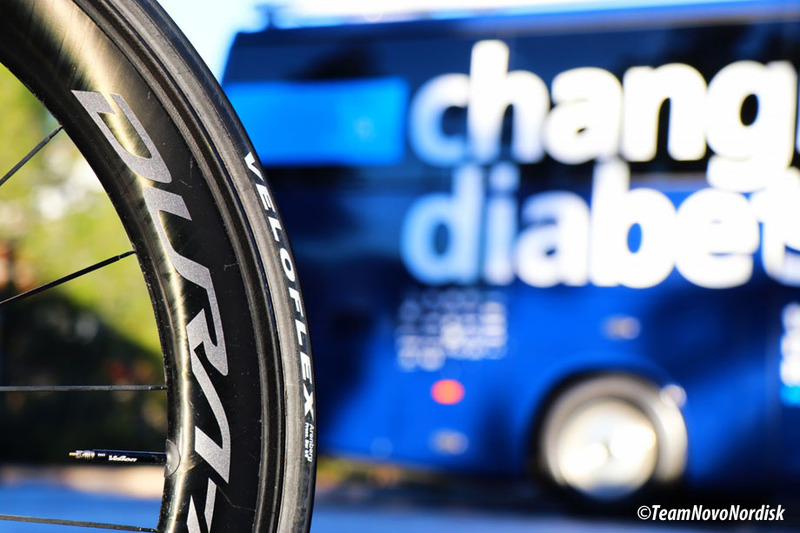 Team Novo Nordisk, the world’s first all-diabetes professional cycling team, and Italian-based Veloflex announced a partnership naming Veloflex as the official tire for Team Novo Nordisk. · Arenberg tubulars: an all-purpose tubular that is ideal for cobblestone racing and most rough road surfaces. The tires were named after the famed Trouée of Arenberg, a famous cobblestone road that serves as one of the toughest and most spectacular stretches of road during the Monument Paris-Roubaix. · Corsa 25 open tubulars: designed for training and racing. The light (220 gram) all-purpose tire offers greater sensations than a traditional clincher.